Nayar roped in Apoorv Desai, a local coach in Mumbai, and planned out a daily schedule for Karthik. Amit Pagnis, the former Mumbai opener, was also requested to provide a session on playing the slog-sweep which he’d been renowned for during his heyday in the Mumbai cricket circles. Nayar also hired an additional expert, who he isn’t keen on naming yet, to scrutinize and improve Karthik’s initial feet movement. The House of Pain by the way wasn’t the only pain-filled experience he put Karthik through. “In the afternoons, we used to train twice. We used to gym, then do batting, sometimes even meditation. 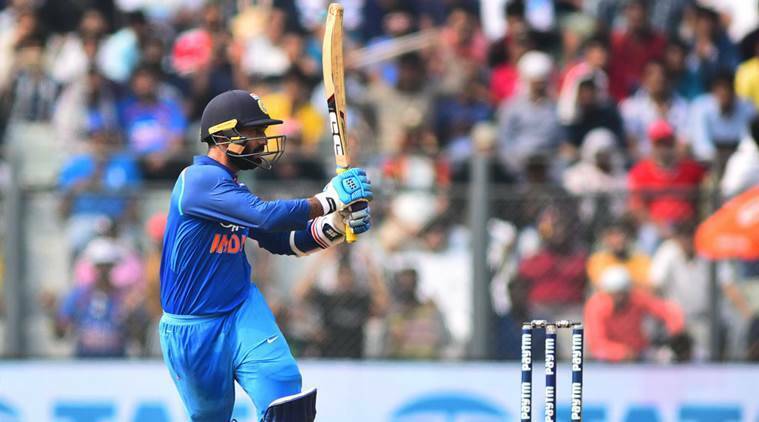 Then we’d work on batting visualization techniques, which he still follows in international cricket, and as it turned out he did well for Gujarat Lions that season,” the Mumbai all-rounder points out. This wasn’t the first time that Nayar had taken it upon himself to push a fellow cricketer to the limit in a bid to provide his career with a much-needed second wind. He’d done the same with Mumbai teammate Rohit Sharma following the 2011 World Cup, which the India opener had to miss. Karthik wanted Nayar to replicate the same fitness program he’d had in place for Sharma four years ago. But it wasn’t to be. Nayar had a different plan in mind, especially to deal with Karthik’s innate restlessness. “He was used to getting up early morning and doing his training and then just think bus aaj ka din nikal gaya. But I intentionally kept his training session for the evening. He becomes restless like a kid, and the whole day he would keep saying ‘when will we train’, ‘when will we train’,” Nayar reveals. The next domestic season was a good one for Karthik. He slammed 704 runs in 14 innings with a average of 50 plus. He followed that up with 607 runs in nine games at an average of 118 in the one-dayers. They included two centuries and a fifty. By the time the 2017 IPL got over, Karthik was back in the mix. He was in the squad for the Champions Trophy in England. Karthik came back again to Nayar. This time, the venue of practice was changed and Karthik spent from his own pocket to fly 15 boys from Mumbai to Bangalore and then to Chennai for personalized practice in the nets. “We booked their flights, we booked their hotels, we gave them expenses, we booked a ground and even bought them balls. We practiced in seaming conditions. Cricketers should spent on cricket,” Nayar says. Karthik didn’t get a chance in the playing XI despite hitting centuries in the warm-up games. But he wasn’t disheartened. Perhaps in the past it would have been enough to knock back his confidence and evoke self-doubt. But not anymore. Not with Nayar always available at the other end of the phone line. “There was no one to discuss his thoughts with. Those thoughts would mount up and they would get to him. He has less baggage now. He is also very superstitious at the crease. And we’ve worked on cutting down on that. Now he focuses on taking a deep breath before every delivery and getting his mind together,” says Nayar. There’s no guru-dakshina involved here though, reveals the all-rounder, who played 2 ODIs for India in 2009. Karthik’s success on the field ends up being Nayar’s biggest joy. Except the one time that Karthik ended up tricking his mentor.